We GUARANTEE that we have the lowest published prices on the web for our lobsters. There is ONE EXCEPTION to this guarantee. We cannot guarantee lower prices than another lobster company if they DO NOT GUARANTEE your lobsters are alive when you receive them! Other sites just state "Guarantee" in their advertising and figure consumers won't research the prices on other sites. I feel this is a shame! There Are also Companies that offer FREE SHIPPING??? We'll, I've been around the block a few times, and as far as I know, Fed Ex and UPS BOTH CHARGE to ship packages! Don't Fall For The Free Shipping From Other Companies...They Don't Do it For Free! Other Lobster sites hide their profits in shipping...Well, Not Us! I Do, However, Pass On Our Significant Fed Ex Shipping Discounts To You The Customer, And That's The Honest Answer! How can I offer this guarantee? Because we already have the lowest prices, And We also have the freshest live lobsters which we catch off our own lobster boats! I have been a Lobsterman for over 35 years, I want to earn your business, and I want to provide the lowest priced Best Quality Live Lobsters... We get to show you our great customer service, lowest prices, and the freshest hard shell lobsters, lobster dinners and great seafood products...all while you get the lowest price and best products available! 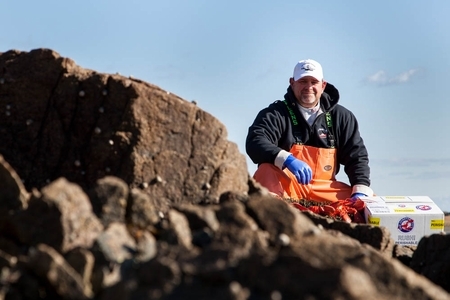 LobsterGuy ships hand selected fresh hard-shell lobsters just for you, and NEVER sacrifice quality like some second and even third party retailers, we catch, handle and package them ourselves. If by chance you ever find a lower price, please email us with your zip code at sales@thelobsterguy.com, and we will certainly look into it! You can cancel or reschedule delivery of your order only prior to the day it ships. Just call us or email us to arrange this. Lots of preparation and planning goes into shipping your order, so unfortunately, once we reach the shipping date, an order cannot be altered or cancelled. If you need to amend your order after you have placed it, please contact us. We can usually add, subtract, or adjust ordered items. If your existing order is shipping for delivery before a holiday, any changes, cancellations, or modifications must be requested and accepted three days prior to the delivery date. We cannot guarantee order adjustments during the busy holiday season! Because of the nature of the items, Perishable products are NOT accepted for return. Other non-perishable items (tee shirts, mugs, pick sets, etc) can be returned. You must also contact us before sending back an item. Return postage (via any method with tracking) is to be paid by the customer. Items must be in their original, new condition. Once the returned product has been received, your refund will be processed within 3 business days. Shipping charges will not be refunded and a 10% restock fee will be subtracted from your refund. Gift Certificates are not returnable or refundable and cannot be redeemed for cash (unless otherwise required by law). If you encounter a rare problem with any items in your shipment, You must report the problem via email or phone immediately upon receipt of product on the day of your delivery. If you reach us after hours, please leave a message with all the details. Photographs of damaged product and packaging are required. If your order is missing an item, please thoroughly inspect the package and remove all packing materials. Small items, like pick sets or bibs, can be underneath packing paper. Photos of the contents and of the box will be helpful in this case as well. If your package has been delayed in transit due to a weather event (designated as such by FedEx), this falls under FedEx's "Act of God Clause" and we cannot issue you a refund or reship your order. As long as the contents of the package are still cold to the touch, the product inside is still fine to cook and consume. If there is any other problem with your package, we can coordinate a refund or a reshipment of the item(s) in question. You must contact us upon receipt of your order on the day of delivery and advise us of the problem with your order. We can be contacted via phone at 866-788-0004 or via email at sales@thelobsterguy.com. If you leave a message or send an email, please include your order number (if available) and the Shipped To name on the package, including the proper spelling. Neither FedEx nor LobsterGuy will be held responsible for any delivery delays that are included under FedEx's "Liabilities not Assumed". You can request the most recent list from either LobsterGuy or FedEx or you may consult FedEx's website. These are typically rare events that include hazards such as severe or extreme weather events. Any weather disruption or other National Service Disruption (as designated by FedEx) may delay normal delivery routes, times, and/or schedules and neither FedEx nor LobsterGuy will be held responsible for the contents of such packages. Specifically, once in transit, the LobsterGuy will not honor any claims, be held financially responsible, or replace shipments of packages that FedEx has declined to cover. If you think your local weather may impact your delivery, please call and reschedule your shipment no later than 12 pm on the day your order is to be shipped. We will do all we can to safeguard against weather delays but we are not responsible for Mother Nature. Thank you. Please note that signatures MAY BE REQUIRED for delivery. If the subtotal on your order is over $500, a SIGNATURE WILL be required for delivery. Deliveries to BUSINESS ADDRESSES WILL REQUIRE a signature for delivery. Deliveries to apartment buildings, townhouses, and condo complexes MAY REQUIRE a signature. For all gifts, YOU are responsible for notifying your recipient about delivery. YOU are also responsible for entering and verifying the proper and current delivery address including the correct zip code! The delivery address must be CURRENT AND ACCURATE. FedEx and LobsterGuy cannot be held responsible for any orders with the incorrect delivery information, including, but not limited to: incorrect zip code; wrong or forgotten house/apartment/suite numbers and/or letters; incorrect or incomplete street names; and/or misspellings, etc. Incorrect addresses usually result in a delivery delay of least one regular business day. Please note that FedEx does not count Saturdays or Sundays as regular business days. FedEx charges $18.00 to correct an address... this fee will be charged to you if the address given is incorrect or incomplete. If the delivery address needs to be adjusted, on-time delivery is NOT guaranteed and may result in a delayed delivery date. LobsterGuy is not responsible for delays caused by incorrect shipping information. We will not reship or refund orders when the address information given is incorrect. Order from LobsterGuy with confidence, and you'll see why we have the lowest prices, best lobsters, and the best customer feedback...all without sacrificing quality! Lobsters & Chowder! • Maine Shore Dinners! • Seafood Entrees • Seafood Appetizers • Maine Lobster Tails!